Educational Resources – Merchant Guides & How-To Lists, Webinars, White Papers, Primary Research and Events. In addition to ongoing reporting on breaking news in the industry, Card Not Present® produces resources—on our own and in partnership with leading companies in the industry—merchants can leverage every day to make better business decisions. We are focused on providing the most timely and relevant information for merchants dealing with the challenges of e-commerce fraud and payments. To that end we have created a number of merchant-centric guides and how-to lists to help you overcome these challenges as they develop. Access detailed knowledge from an array of card-not-present payment and fraud experts on the biggest challenges merchants are facing today. We break it down with simple, real-life examples and instructions on how to meet these challenges with all the tools available. In partnership with the most innovative companies in our space, we produce award-winning, informative and timely white papers on the most important topics affecting merchants today. It's a jungle out there in the CNP fraud and payments space. Get our white papers to be sure you have all the knowledge you need to protect your top-line revenue. Card Not Present and our partner companies generate some of the most anticipated annual research studies in the CNP industry. Access the creative insights and information that will help drive your businesses forward. CNP Expo® equips fraud fighters, payment professionals and risk management experts with the knowledge and tools they need to offer rich digital commerce experiences to customers while protecting their business’ bottom line. 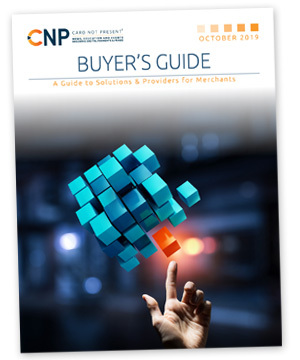 With over 50+ hours of education for e-commerce newcomers and veterans, learn how to leverage CNP payments in an increasingly multi-channel retail sales environment while connecting with hundreds of merchants looking to share best practices and form the partnerships this environment requires. Save the date for 2019! We're headed to the West Coast, May 21-23 where CNP Expo will be held at the Marriott Marquis in the heart of San Francisco. REGISTRATION IS NOW OPEN. RESERVE YOUR SPOT TODAY FOR THE BEST PRICING.